Along with senior management visits to Israel, the diplomatic arena was utilized as well. By the end of November 1964 Minister of Finance Sapir writes to the Ambassador in Rome, in reply to the latter’s enquiry, that the Alfa Romeo assembly issue is being reviewed by the intra-ministerial Vehicle Committee, “and I would like to promise you that it is close to our hearts”. In early March 1965 a third Alfa visit to Israel takes place. This time too, assembly of the Giulia and the late Giulietta with 1300cc and 1600cc was on the cards, as well as local parts procurement, for the future local assembly and for export. Alfa, how very surprising, were willing to pay the “special” taxation levied on local production. This visit included meeting with government officials, in this case the Bartell Committee that was looking into the subject of local vehicle assembly. From now on efforts were focused primarily on lobbying. In June, Michael Tsur, the General Manager of the Industry and Trade Ministry and the head of the Vehicle Committee, pays a visit to Alfa. As it ended, it was announced that Alfa would soon furnish the Israeli Government with an elaborate plan, according to the guidelines to be set by the Bartell Committee, which was about to publish its findings that July. In August Gentili met the Minister of Transportation Moshe Carmel and invited him on behalf of Pietro Nenni, head of PSI (Italian Socialist Party), to take part in the party’s 36th convention, to be held on November 10. Carmel received the invitation and while the convention took place in Rome, he found the time to take the road to Milan two days later. He was driven, that’s right, in a Giulia 1600: “even though this was a rainy and foggy day, we have reached a speed of 180km/h”, later describes this trip a member of the Israel embassy in Rome. In Milan, the minister had toured the Arese plant, hosted by Giuseppe Luraghi, the then Alfa Romeo president. Co. of Tirat Carmel. 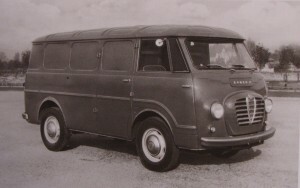 Autocars was a local producer of glassfibre-bodied, Ford UK-engined utilitarians, largely designed by British Reliant. This made Autocars another offshore assembler for Leyland, one of many. Leyland had committed to assemble the new Triumph 1300 (export was mentioned as well, surely) and the off-road Triumph Pony. This ended the joined efforts to establish an Alfa Romeo plant in Israel. Over the next two years, the Intra-ministerial Committee received a large number of offers for vehicle assembly, by numerous producers. Nevertheless, and in spite of Illin Industries collapse in 1968, the Government refused all offers but one: that was dispatched from Dearborn, Michigan in 1966. Period correspondence tells us that Alfa Romeo was, rightfully so, considered a quite expensive type of machinery, so that the would-be savings to emerge from its local assembly will not contribute to absolute savings in foreign exchange. 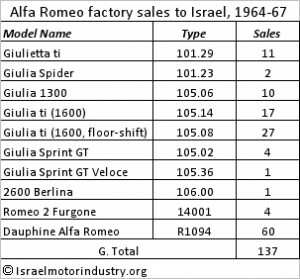 ITIS’ on-going import activity has seen a series of events in summer 1965 boarding on the absurd that, while having no direct linkage to the Israeli motor industry, there definitely was an indirect one. 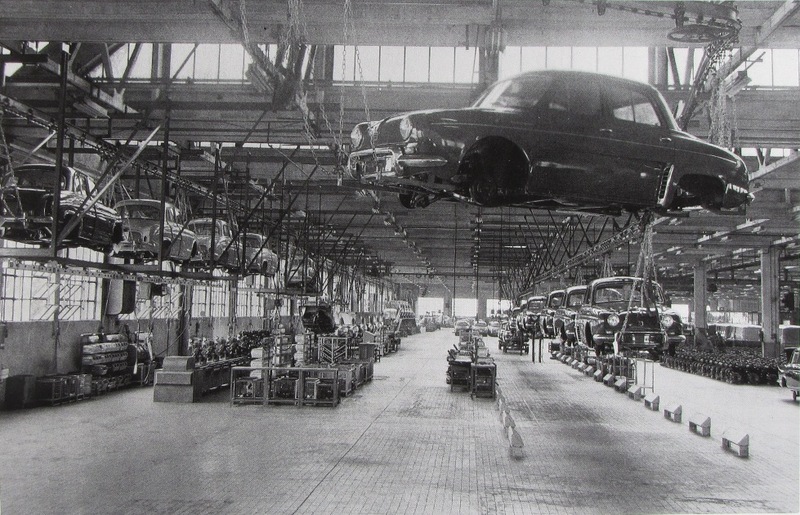 On July 30, 1965, Alfa shipped to ITIS a lot of 60 Renault Dauphine cars, assembled in Portello, Milan. Forty units were in white, twenty in Graphite Grey. The Dauphines were put together in Milan as of 1959, part of an agreement with Renault according to which the Government-owned Regie Nationale would become Alfa’s distributor in France, while Alfa would assemble compact Renault, to fit in below its existing range. In Haifa, it appeared, things were not as simple. ITIS’ import license, handed over by the local Ministry of Transportation in 1964, covered the Giulia, Giulietta and 2600 ranges. The Dauphine was not mentioned at all. Furthermore, due to what has been regarded in Israel as Renault’s betrayal in the fall of 1959, with the Illin connection being severed, the Ministry of Foreign Affairs demanded that the import of Renault products was outlawed. Furthermore, the Dauphine Alfa Romeo was a thoroughbred Renault, with an Italian content that was pretty similar to the Israeli one, a few years back. This composed mainly of paint, tires, battery and upholstery. ITIS suddenly found itself at the heart of the storm:”we are especially furious as this entire deal of the Dauphine cars import from Italy was done without our knowledge and without even approaching us officially”, lamented the licenses officer at the Ministry of Transportation. And there was something else. “In the car importers’ circles”, wrote a widely-circulated daily, “rumor has it that this shipment forms a part of a stock of Dauphine cars, resting in Alfa Romeo’s warehouse in Milan for a year and a half.” According to this rumor, it was added, “the cars just imported over here were actually produced in France, not Italy, and are of a 1964 model year vintage”. Scrolling through the production logs at the Archivio Storico Alfa Romeo, more than 40 years later, uncovered the complete picture. Alfa assembled its very last Dauphine on October 22, 1964. The vehicles that were eventually shipped to Haifa were indeed made in Italy, but production took place between April and July 1964, ever since then they have been in stock. They could therefore be classed as 1964 model year vehicles. The rumor, possibly sourced in the well-informed Israeli Renault distributor, was very strongly based. The crisis was soon over. The Ministry, so it was discovered was already permitting “exceptional imports” of Renault cars since early 1964, defined the Dauphine-Alfa as an Italian product and approved its imports. Sure enough, as a 1966 model year vehicle… That opened the door for the official return of Renault cars to Israel. And the Milanese Dauphine? The sixty units sold slowly, well into 1967. 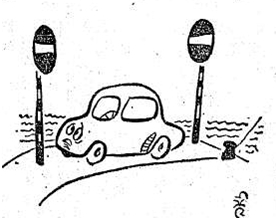 The very last, a grey car bearing registration number 742-057, was registered on October 1, 1967. Forty-one months after its assembly. 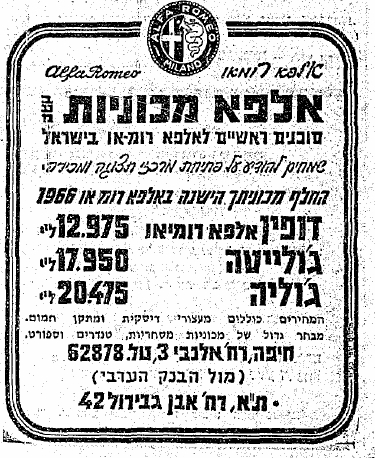 In spite of their initial positive reception in Tel-Aviv, the Alfa Romeo imports have soon reached fulfillment. In 1965 only 33 units were shipped to Israel, exclusive of the Dauphines and inclusive of four Naples-made Romeo vans, with the Giulietta engine and a front wheel drive. During that year, marketing took place by agents. 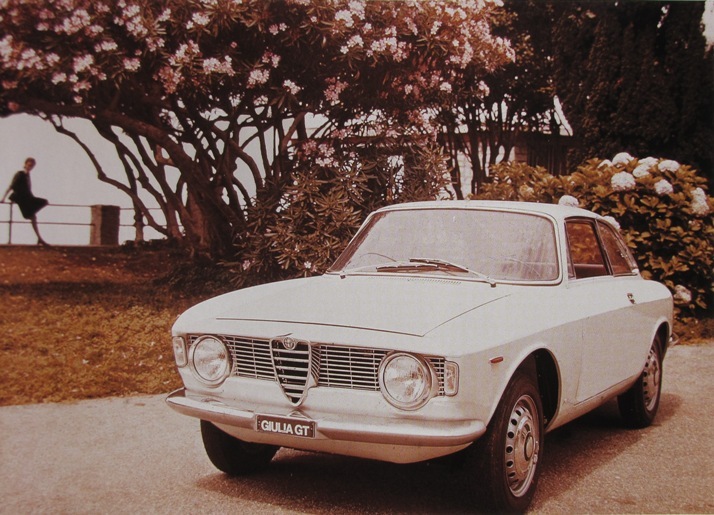 In 1966, imports amounted to a single white Giulia Sprint GT. 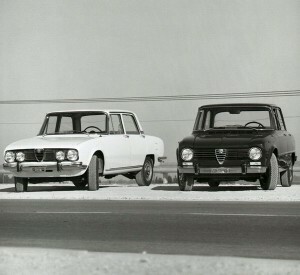 On January 24, 1967, the last Alfa for ITIS was shipped. A green Giulia Sprint GT Veloce, it was registered in Jerusalem the following month. This ended ITIS car import activities. Arik Makleff who then co-headed ITIS, adds: “I returned to the U.S. in 1967, before the Six-day war, as Finance Minister Sapir urged me to go there. I wanted to go on doing business in Israel, but Sapir made his mind. ‘I have to raise funds so that people are not leaving Israel. Now go. You decide where to’. I asked to travel to the South. In 1968 I resigned my position in ITIS due to my father-in-law’s illness, and left to Tennessee. We returned to Israel in 1972. Meanwhile, ITIS was left without a local management. The Alfa business was a loss-making one, and there were no available other investments. Dino passed on Alfa’s representation to Illin by the end of 1968, and sorted out everything with Alfa so that the transfer would be in order”. Previous to that, one final attempt was made at the assembly of Alfa Romeo in Israel. The Hino Contessa assembly at the Illin factory in Haifa ended in March 1968. Illin did not receive new CKD sets for a long while, and Toyota – Hino’s new landlord – was not into discussions about a joint-venture with an Israeli company. 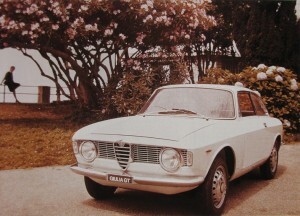 Illin went to Arese, and in February 1968 had a contract for the assembly of the Giulia 1600 and the just-launched 1750 Berlina. The Government, however, refused to grant Illin with a resuscitation package. His request for a license for the assembly of a 1,000 units a year was turned down, claiming that the cars may compete with the Triumph 1500. It was only two years earlier that the same Committee approved the production of this Triumph, provided that its engine displacement is increased from 1.3 to 1.5 liter, so as not to compete with Illin’s Contessa…Now, as Illin was looking for any solution that could have helped him with the resurrection of his plant, he was refused. 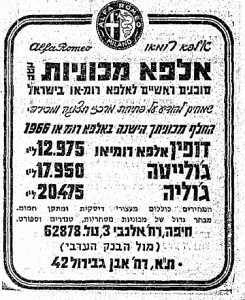 The sorry condition of Alfa Romeo owners in Israel in 1968 could be implied by the arrival to Tel-Aviv, in November that year, of “technical inspectors from Milan”, for “special meetings” with Alfa owners. These were actually intended as first-aid assistance for these cars. On August 1, 1969, the first three units purchased by Illin left Milan for Haifa: a 1750 Berlina in Beige and Grey, and a shiny Orange GTV 1750. 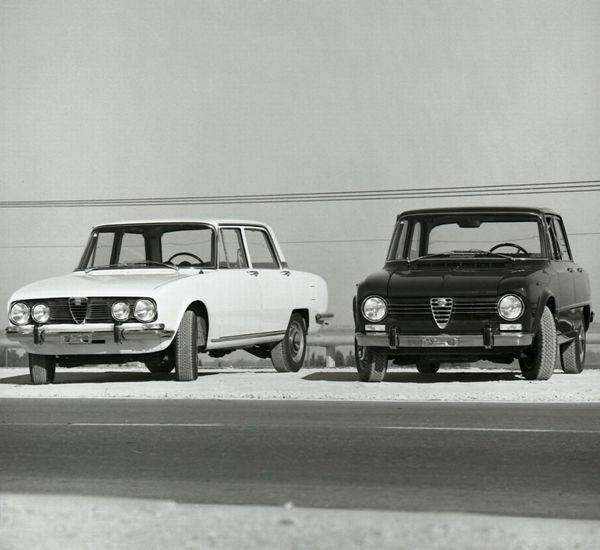 These cars have opened the Alfa Romeo-Illin era in Israel, which lasted until 1988.